For over 25 years, in the Greater Boston, Massachusetts area, Nadia’s House Cleaning has been offering residential maid services and janitorial services for commercial businesses. We are fully licensed and insured. With our high moral standards, friendly customer service, our highly trained, diligent, and thorough professionals; your experience with Nadia’s House Cleaning will be exceptional. Nadia’s House Cleaning specialists take great care ensuring the cleaning tasks assigned are done according, quickly, and efficiently. 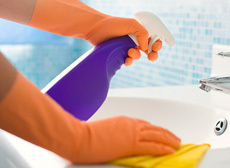 With our premium results you will employ Nadia’s House Cleaning time and time again. With that in mind, be sure to store our phone number in your cell phone for convenient scheduling. Included on Nadia’s House Cleaning’s menu board is move in and move out cleaning services. When it comes time to close one chapter in moving out of one home, to begin a new chapter moving into another, there is much to do and little time to get it done. Between laborious packing, arranging utilities, change of address, and everything else, getting your old home back in pristine condition to get the security deposit back could be one thing you can scratch off the to do list and let Nadia’s House Cleaning execute out residential move out cleaning service on your Greater Boston, Massachusetts home. 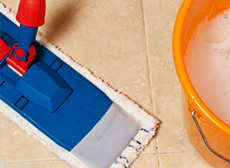 –	Floor cleaning; hardwood, tile and grout, carpets, and linoleum are all cleaned accordingly. –	Window interior and exterior cleaning along with blinds, frames and sills. –	Ceiling fans and light fixtures are dusted. –	Walls, doors, door knobs, frames, baseboards, light switches, and outlets are wiped down. 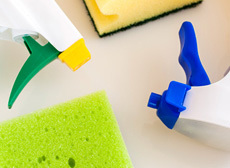 –	Cabinets, countertops, medicine cabinets, drawers, and closets are cleaned appropriately. –	Toilets, sinks, showers, and tubs are thoroughly cleaned. –	Ovens, stove tops, refrigerators, and microwaves are cleaned. To further your moving experience from one residential home to another in Greater Boston, Massachusetts, Nadia’s House Cleaning offers move in cleaning services to help your transition go smoothly. Moving into a rental or a previously owned home can leave the new residents in a questionable state. Instead of trying to clean up after inconsiderate tenants, let Nadia’s House Cleaning do it for you. 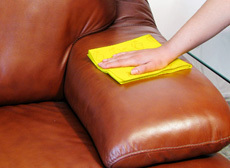 We can tailor your cleaning desires to your needs, or conduct our general move in cleaning service. For tailored cleaning and pricing on general packages and what they entail, call Nadia’s House Cleaning for your move in and move out cleaning services for your residential home in the Greater Boston, Massachusetts area today to get started!